FABA is a magic bean token that bridges the startup community with traditional venture capital markets. 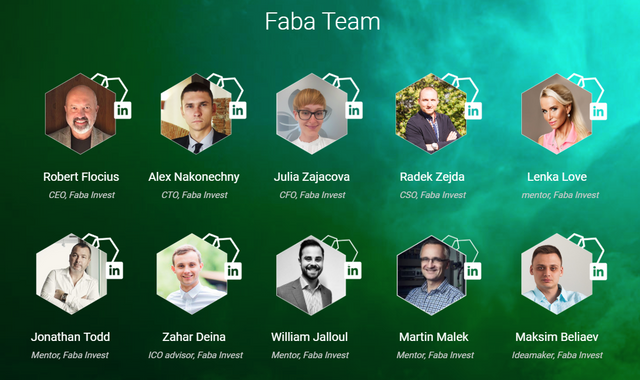 Faba (FABA) financially supports companies with positive impacts on the environment, ecology, medicine, our education … We connect venture capital with the crypto community to receive valuable feedback on the projects we want to invest and on the other hand to get new project ideas from community to be supported. There will be an application available for Faba token holders, which will allow us to monitor our investment. Faba is the first venture capital token with a positive impact on life. Faba is a co-creator of human potential. Decentralized voting systems allow joint decision making when choosing projects. This connects the economy of the traditional venture capital market with the crypto world which presents new opportunities for both. Faba was founded by a group of experienced people, who were interested in supporting projects and teams of people with ambitions to influence the world. FABA LTD invests in projects that go through a professional due diligence process, where it becomes an equity shareholder. Because of their professional approach, financial investment and time commitment from mentors and sign holders (FABA), the company’s valuation has increased. Their investment then comes out at its peak to return some initial investment to our token holders. The Joint Vision has helped determine the target segments and future megatrends that are changing the current environment and contributing to further development: Foodtech, Biotech, AI, Robotics, and other sector agnostic opportunities. Investment horizon is set at 8 years. 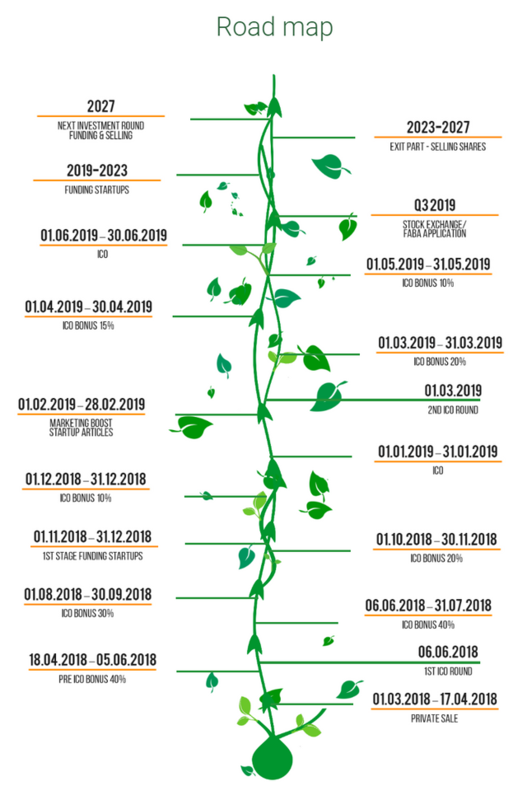 (FABA) token holders will be given during the investment based on the dividend strategy of each company and the actual exit time. Faba’s main objective and goal is to become the largest venture capital company that supports projects that change the game with a positive impact on our environment. The main objective of the ICO process is to get involved in the crypto monetary community and to get new ideas from the market. To enable investors who cannot be accredited to buy their investments through FABA tokens. When one portfolio company needs to be purchased, 70% of the funds will be used. After each success, 30% of the investment will be made and the growth of FBA indicators will be tried to be improved. FABA Ltd will evaluate investment opportunities in food technology, biotechnology, artificial intelligence, robotics and other sectors. When choosing a project, the company to be invested will be determined by choosing a decentralized network. Both FBA Ltd and FBA token holders will be able to submit projects for voting. receiving funds for shares sold by the company. sustainable global marketing from each project invested by Faba.
. The Faba application will also display projects that have been supported by basic reporting schemes and special mentors. 2000 (FABA) tokens have voting rights and can have their own input on selected projects. We are preparing an interface where it is possible to submit proposals and votes for new projects. Both FABA LTD holders and (FABA) will be able to send projects for voting. After the project receives a positive majority of the total FABA voters, it is considered a pre-approval for funding. FABA LTD is allowed to use max. 20% of their voting rights. This mechanism allows us to get market feedback and inspiration when making decisions about new investments. The time frame is always one month, and each new project proposal is subject to symbolic processing fees. The Faba application will also display projects that have been supported by basic reporting schemes and special mentors. We are preparing an interface where it is possible to submit proposals and votes for new projects. Where are we looking for projects? the most advanced technology in the European Union. Project Faba will launch a sales token (FABA). Faba will release 160M tokens (FABA). A total of 50% of tokens (FABA) will be available for ICO sales, which represent 80 million. The number of tokens for ICO sales will be divided into 2 phases: 1. Pre ICO and 2. ICO. 40% of the tokens (FABA) will be held by the Faba company, these tokens are stored and cannot be sold for a period of 2 years. 10% will be shared among the mentor team, this token is given for a period of 1 year. After a period of 1 year, 50% of tokens can be sold. During the pre-ICO phase, there will be 0.5 million tokens available for sale and 79.5 million during ICO. Unsold tokens will be shredded. During the ICO phase, 79.5M tokens (FABA) will be available for sale. Most ICO funds will be used to invest in proven concept projects and selected startups. The operation is management fees, which include administrative, office, legal, etc. Software development includes application startup and FABA application development. Marketing support includes social networks, media articles, ICO internet portals, etc. If the token is sold before the schedule, then the ICO ends automatically with it. There will be an application available for FABA token holders to monitor our investment. Users will be able to: Monitor projects where Faba has invested and see their latest updates. Select projects at the blockchain level (based on voting rights) and help us choose the right investment. Check company updates and regular news. will be distributed fairly based on the shares sold in the Faba investment portfolio. The profit distribution will be published first in a press release on the Faba website. A press release will include the name of the company that exists, the conditions in which the company is sold, cash flow and date of payment. Profits will be distributed in ETH to the ETH token wallet (FABA). It will always be paid when receiving funds for shares sold by the company. 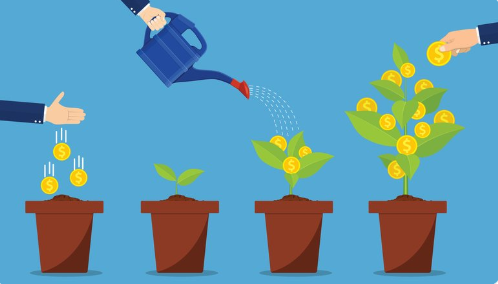 After registering a token (FABA) on the stock market, we will promote the value (FABA) of tokens with sustainable global marketing from each project invested by Faba.